Even though it’s the first day of May, there is one more guest post and it’s by science fiction and fantasy author Karen Healey! 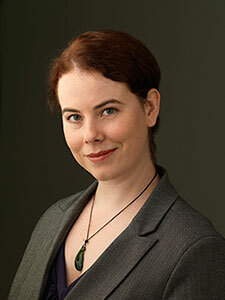 She has written SF&F for young adults, including The Shattering and Guardian of the Dead, the winner of the 2010 Aurealis Award for Best YA Novel. 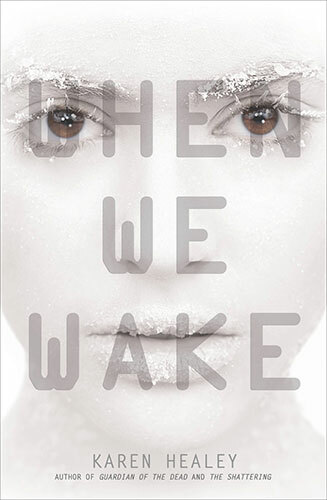 Her latest book is the science fiction novel When We Wake, a finalist for the Andre Norton Award for Young Adult Science Fiction and Fantasy in 2013. A companion to this novel, While We Run, will be released later this month on May 27. I’m thrilled she is here today talking about how her teaching and her books intersect to encourage young women to explore questions about their world! “Did you know that you’re all made out of stars?” I asked my Year Nine class, and 25 thirteen-year-old girls lit up. We’d been discussing a short story that dealt with various beliefs of what happens to humans after death. One girl had asked about mine. I’d told them that I believed our atoms became parts of other things, which I could see they didn’t think was properly solemn. Thus, their origins as star-stuff. “I knew,” said one girl. I’m a first-year English teacher at an all-girls’ school in New Zealand, and I write science fiction and urban fantasy for young adults. This year, I’ve discovered just how intersectional my chosen careers are. My students ask a lot of questions. I want them to find answers, whether from me, or their smartphones, or their science teacher. (For detailed explanations of astrophysics, definitely their science teacher.) I want them to keep asking. How did that happen? Why did she do that? What happens next? And, the question that underlines almost everything I create, what if? 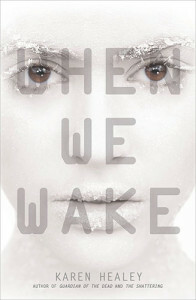 When We Wake , which came out last year, deals with the what ifs of cryonics and climate change. What if you came back to life a hundred years after you’d died? What if the world was dying? What if Australia had closed its borders? What if refugees were criminalized, lied to, used? What if you stumbled upon a giant government-backed conspiracy? These are questions that concern my students. They worry about climate change. They’re interested in social justice. They’re connected to the world as it is, and they’re curious about the world as it could be. They want to know what they can do. For a long time, girls weren’t supposed to do any of that stuff. An interest in the political process? An inquiry into injustice? A will to take action? Heavens, no! These girls will strain their adorable little ladybrains and render their delicate parts unsuitable for childbearing! One of the reasons I looked for work at a girls school is because a terrifying number of people worldwide are still operating under the delusion that girls shouldn’t/couldn’t/wouldn’t want to save the world. 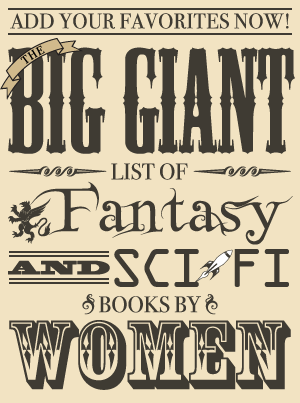 SFF, despite all its flaws, provides some fantastic young women who are willing to do just that. I wouldn’t want to teach my own texts (although a couple of them are being taught in a few classrooms, which is just delightful). But I’d love to teach Alaya Dawn Johnson’s The Summer Prince , which explores the power of revolutionary art. Or Kristin Cashore’s Bitterblue , in which the young Queen struggles with serious questions of power, reconciliation and grace. One day, I will. But I’m a first year teacher – I’ve also got to work with budget constraints and the texts already available. Fortunately, that’s not hard. This year, my Year Nine girls, all of them made of stars, are studying The Hunger Games . What if the children fought back? What could they do? When We Wake was about Tegan Oglietti and the substance of her choices. 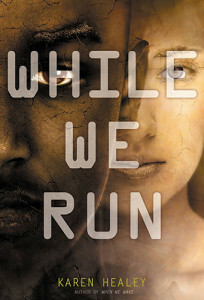 While We Run is about Abdi Taalib, and his ability to deal with consequences. When We Wake asks if its protagonist is brave enough to do the right thing when she discovers the truth. While We Run asks what its protagonist will do when he’s no longer sure what the right thing is. No decent teacher pretends to have all the answers. For me, it’s a privilege and a joy that whether I’m teaching or writing, I get to help young women explore those questions.